The idea behind the creation of this safari was to combine the traditional wildlife experience with the opportunity of getting to meet some of the local people who live in these remote areas, and to realise the effect of that wildlife on their existence. 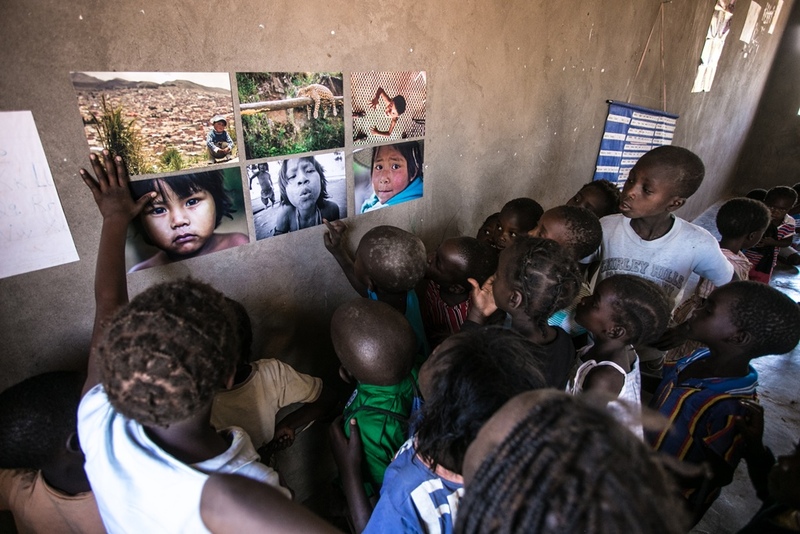 As children learn and develop so much through practical experience, these safaris attempt to include an insight into local cultures, traditions, beliefs, and daily lives – anything that helps to make up a country’s identity. There is an opportunity for visitors to attempt to learn some of the skills that these people use daily, and which have been lost in the modern industrial world, as well as to give practical help. 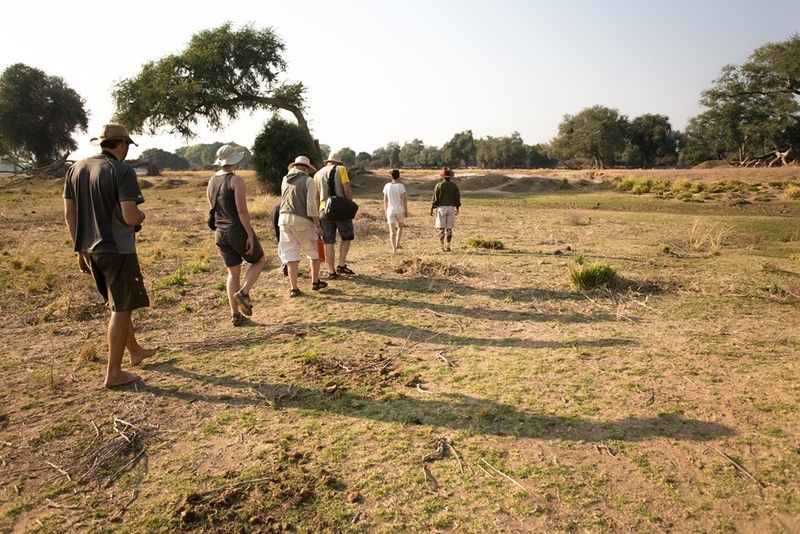 This trip is therefore an exciting experience for adventurous families who want to enjoy the thrill of canoeing and walking down the Zambezi, while also having the satisfaction of knowing that in some way they have been able to help the local communities in these areas. We suggest families contact us prior to departure for ideas as to how they might be able to assist, e.g. 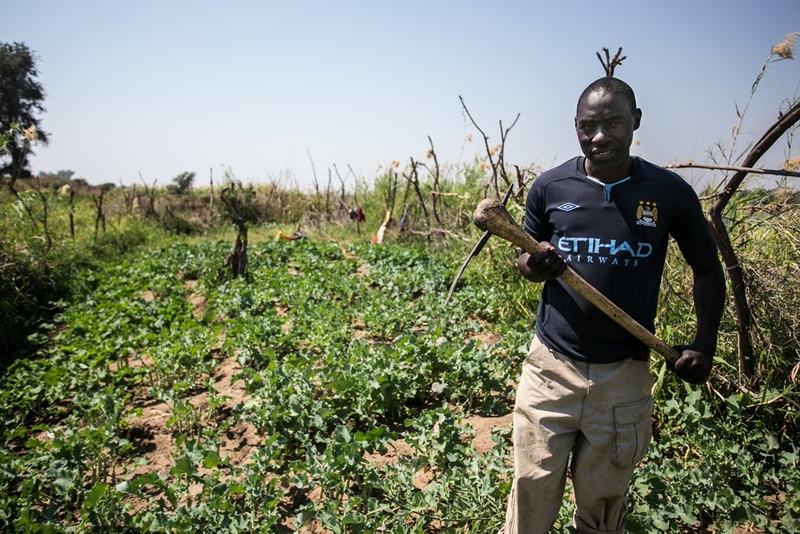 providing specific seed varieties for their gardens, pens, pencils, books, clothing and shoes, or an extremely popular football (plus pump), for some of the communities that we visit. Guides use locally produced produce wherever possible to support local people. This might involve novel snacks/meals such as baking sweet potatoes and roasting ground nuts in the coals of the camp fire. Families may also be able to sample other traditional forms of protein and plant foods found in the area, depending upon the time of year. Pick up time in Lusaka is approximately 8.30 am from a pre-arranged central point. The road transfer to the Zambezi Valley and the base camp at Zambezi Breezes Lodge takes about 2 hours 30 minutes, with the last 12km on poor dirt roads to reach the canoe launching area. After packing canoes the group departs downstream for a couple of hours canoeing before stopping for breakfast on the bank of the river. An hour later canoeing is resumed through to noon, when a shady tree is chosen to hole up for lunch and to rest during the peak heat of the day. Canoeing usually recommences around 1430hrs for the remaining paddle to our overnight camp arriving at approx 1700hrs. The group will then help to unpack canoes, and set up tents. In winter months we may arrive earlier to set camp before the light runs out. 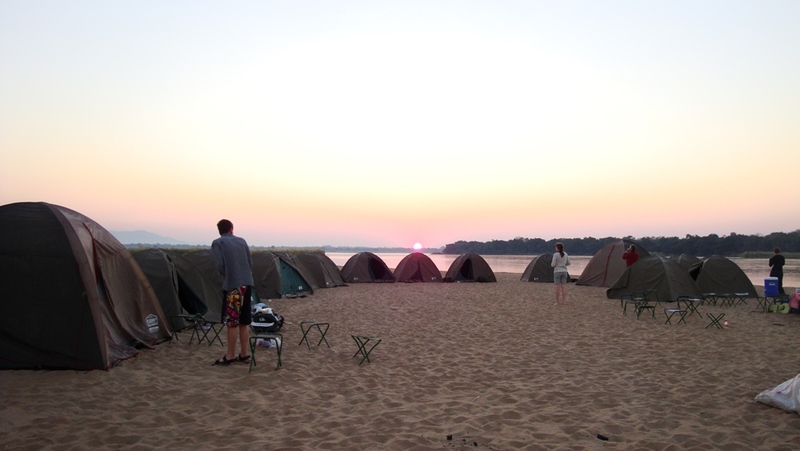 The island camp site on Mtondo Island is on an expansive sand bar in mid stream Zambezi River. This nights camp is on a sandy Acacia Island – a favorite elephant crossing point between Mana Pools and the corresponding Zambian National Park. When the canoes are packed there is a 5km paddle to the end of the canoeing section. Here canoes are packed and loaded for the 1hr bush drive to the serviced fly camp. Lunch is served at our new base during which time the planned activities for Days 5 and 6 are discussed. In the afternoon there is short game / nature walk in the vicinity of the camp during which families can learn to identify various land based animals and their spoor, as well as interesting flora of the region. In the evenings around the camp fire, the guide will advise the children about the types of questions they may be asked on the quiz night at Zambezi Breezes Lodge at the end of the safari. 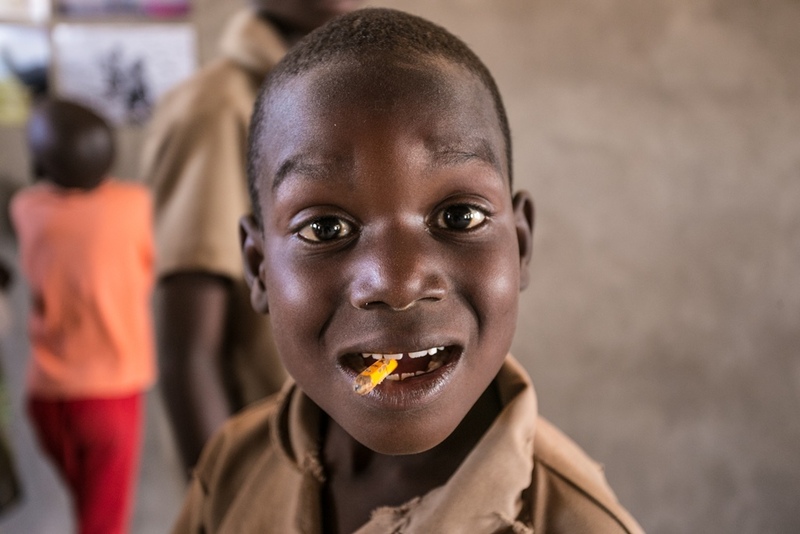 Visit orphanage/ school/ village projects –The visiting children may take part in activities that the local children may be doing at the time. They may be taught local greetings, help with gardens, learn traditional games, try out musical instruments, make clay pots, attempt to grind millet using a pestle and mortar, exchange cultural ideas or have a friendly game of football. Any small gifts that the visitors have brought will always be welcomed. Return for a late lunch followed by late afternoon game drive. After an early rise we can go on a short nature walk to observe local game species, spoor and other points of interest before returning for breakfast. Later in the morning we have the option of returning to the village to conclude activities that were not covered on the previous day. Return for a late lunch on the banks of the Zambezi at the fly camp. A welcome swim in the Zambezi Breezes Lodge pool awaits the group on arrival, together with hot showers and communal ablutions if the group is staying in tented accommodation. If wished, families may upgrade to more comfortable tented chalets on wooden platforms with en suite showers etc. It is wise to request these at the time of booking the safari. The remainder of the afternoon may be spent relaxing by the swimming pool over looking the Zambezi. Return transfer Lusaka after breakfast. End of Zambezi River adventure. Three meals a day, cordial soft drinks and safe, treated water is supplied on every safari. However those wishing to bring their own bottled water may do so. Large water cooler dispensers with ice are provided at all stops/camps for refreshments. Additional cooler boxes carry extra ice to keep other produce fresh through out the safari. Unless notified, meals will follow the program below. Please note that we require prior warning of at least 2 weeks to cater for special diets or allergies to certain ingredients etc. The main dinners are in most cases part pre-cooked and deep frozen prior to the safari, so it is important to have sufficient notice of what is required. Start with tea/coffee biscuits while guides prepare breakfast before setting off down stream after packing up canoes and clearing camp. Guides undertake preparation of all meals, cleaning and general camp preparations through out the trip. During the canoeing section participants are required to assist in erecting and dismantling of their tents and taking care of their own sleeping arrangements. However guides are always on hand to assist here when help is needed. An English breakfast of tinned fruit; eggs, bacon, sausages, toast (made over the fire coals) with marmalade or jam before starting off again. An assortment of cold meats, green salads, rolls and cheeses are served, along with a variety of sauces and pickled vegetables to complete the meal. Fruit in season (but generally oranges, apples and bananas) is always available on the canoes throughout the day as extras to keep everyone going. Assortments of snacks are served followed by a full dinner consisting of beef, chicken or mutton as main course options with two green vegetables and a carbohydrate of potatoes, rice or pasta. A variety of puddings at our serviced camps complement the main meal. 3 nights spent Camping on river Islands. No fixed ablution facilities (bathing using a bucket). 3 nights Supported Camp with fixed showers and flush toilets. On the river the primary mode of transport is by stable 18 ft two man Canadian fiberglass canoes and single bladed paddles, with which teenagers can easily cope. Younger children would not be expected to paddle, unless they wish to do so for short periods, and would be simply accompany their parents/guide in three man canoes. On land, transfers to the local communities are by 4 x 4 vehicles over dirt tracks. We strongly recommend that all interested participants arrive, and spend the night in Lusaka on the day prior to the departure of the safari. British Airways, Kenya Airways, KLM, Emirates and South African Airways are just a few airlines servicing Lusaka from most international hubs. Alternative transfers may be arranged from other Zambian points of arrival and thence into the Zambezi Valley.